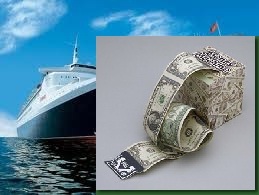 Big liners like the QE2 are floating money machines, and they are run by the clique. Money for positions and service, changes hands all the time on a scale you could never imagine. But all I wanted was to work hard, and to just live a normal, decent life, but boy oh boy, I got that wrong, didn’t I, because rather than mix and do business with this clique of bully boys, and con men, I kept myself to myself, and spent all my time with Roger, both on board and ashore. And of course that friendship led me down another path and right into the midst of arms dealers, and their murky world of corrupt politicians, and back stabbers. And as I have already explained, trying to expose these people, and do the right thing is virtually impossible, because throughout the centuries they have infiltrated, and entrenched themselves in every seat of power in this country, and internationally. So was it a waste of time trying to expose the arms dealers, and all the corrupt, shoddy dealings that they were involved in? No it wasn’t, because it made me realise that all the stories I had heard from all the villains, and corrupt police that I had known in my life, about The Freemasons and their power was true. And believe me, this organization is satanic, and its members range from those who have joined and sold their souls without hesitation, to those who have joined without realising just what they had become a part of, misguided, greedy people, who thought only of the benefits they would derive from joining this Brotherhood, and never sparing a thought for the consequences. And as all villains will tell you, once you’re in, you’re in, and there is no going back! So after all my efforts to expose all these corrupt arms deals, and all the other corruption that I discovered, had fallen upon deaf ears, or just been completely ignored, and covered up, I washed my hands of it all, because it was impossible for me to do any more, but it did prepare me for trying to expose the corruption in the financial services. As soon as I realised that the same sort of cover up, and the same way of doing it was being used, similar to the cover up of the arms deals, I knew if I took this fight on that I would have to keep everything, all the paperwork, all the letters, and all the stuff that they were shredding to cover their tracks, and that is exactly what I did, and as I have said, all this evidence is there for anyone to see. The way I looked at it was this: If I kept on fighting for my clients, and to expose the way the financial services was purposely, and in such a premeditated way, ripping off all their clients, that somewhere along the line I would find just one honest person in a position of authority that would pick up on what I was saying and act upon the evidence that I could provide. You can’t just pretend that everything will work out for the best, and bury your head in the sand, that’s cowardice; and if you don’t speak up, and point the finger, then you’re as guilty as those who are committing these crimes, and you have also contributed to the state of this world’s inequalities. We live in a world where someone will spend as much on a bottle of wine to wash down their lunch, as another would be expected to live on for a month. That is unforgivably grotesque, and we all know it, but seem to accept it as inevitable. The truth is, it’s only acceptable because we do nothing except accept it, without question. But for whatever reason, I refused to accept that the truth would never come out, and I refused to be threatened and bullied into submission, even though at the time I never envisaged just how profound the threat:- ‘that my life would be ruined if I didn’t back off, was. Who would believe that doctors of all people would be a part of this evil? Who would believe that a doctor would purposely over prescribe medication, knowing exactly what the consequences to the patient would be? And who would believe that doctors would conspire, to protect the actions of a member of their profession who was prepared to purposely inflict harm on a patient? As I said to the police, if it hadn’t been for the fact that a gangster in a foreign country, with no medical training whatsoever, could tell me to stop taking my medication, that I didn’t need it, and never had, I might have just put it down to a genuine mistake, and as wrong as it would have been to involve others in a conspiracy to cover up the mistake, I would have understood the reasoning behind their actions.